C. Boonyarathaphan 1993 27 72/36 7394 70 minutes from downtown. 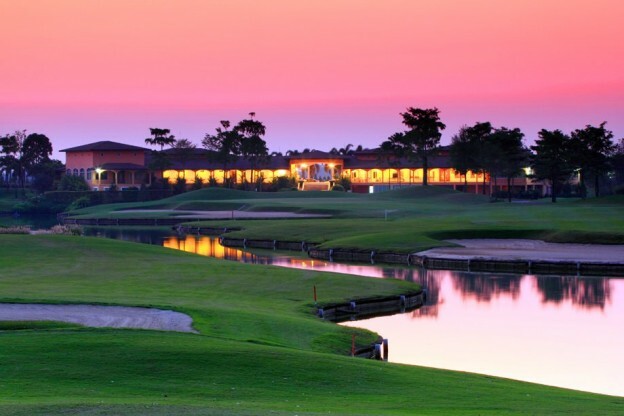 Cascata Golf Club is the latest star among new breed golf courses developed around Bangkok, opened in October 2006, Cascata features 27 exciting and challenging holes. Cascata is a new challenge for Bangkok bound golfers who are looking for a change of venue, natural park-like surroundings and clean air ensures that a round here will be sure to take the stress away from the Bangkok city hustle and crowds. Excellent design and course conditions along with 27 well laid out and challenging holes make this golf course a good choice for frequent golfers in Bangkok. Tee times are relatively easy to secure, even on weekends, as the course is yet to be discovered.